the beauty look at chanel’s fall 2010 haute couture show is probably one of my all time favorite beauty looks from any show. 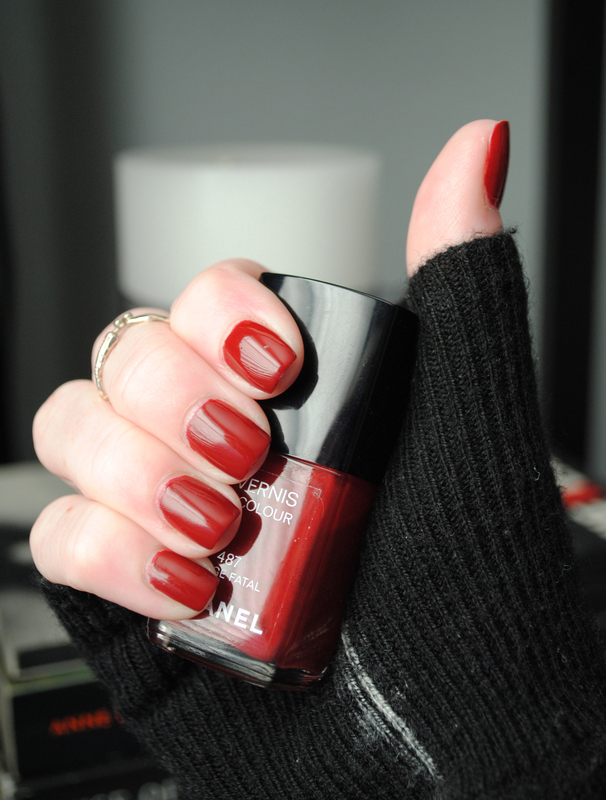 both the eye and the face were bare, which set off the matte red lip that matched the nail polish, a shade called rouge fatal. the hair was effortless, perfectly tousled. accentuating the look were the chunky bracelets the models wore, literally dripping with delicate chains and jewels. 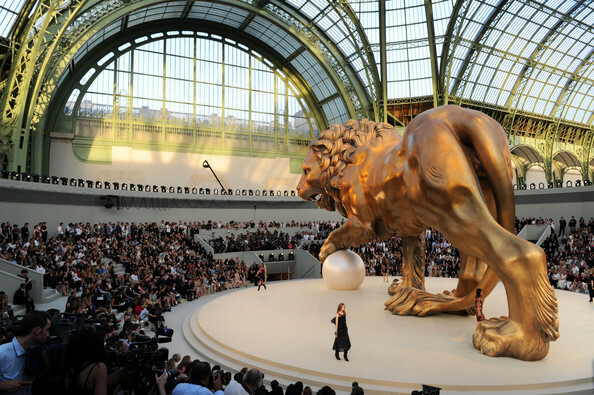 the collection was shown under and around a giant golden lion at the grand palais, one of its paws resting on a signature chanel pearl, from which the models emerged as they walked the circuit around the statue.